When an individual with business board experience agrees to serve on a nonprofit board, the result can be culture shock! The new arrival can become impatient with the deliberate crawl of action in the nonprofit sector. Or the fact that he/she has no stake in the organization’s financial outcome can diminish interest and participation. Even more disturbing is the fuzziness of the relationship between board member and Executive Director, a sharp contrast to the corporate director/ CEO interaction. In the nonprofit, the ED can assume a more entrenched position due to cultural and governance protocols. Long before and after the new board member’s four to six year term has expired, it’s likely that the same ED will be in place. Based on national data, a nonprofit executive director’s average tenure is 12 years. 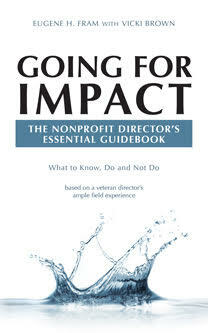 In addition, directors’ career interests are likely to be very different from those operating the nonprofit. These two factors invest the ED with “institutional memory.” This requires him/her to structure a field of vision on which directors are often dependent. If the ED lacks foresight, the nonprofit will probably not reach its potential to serve clients during his/her tenure. Board members will have a difficult time modifying a nonprofit’s conservative ambiance. Full support of the ED will be required for change. If a board is unable to modify his/her behavior, a termination action will be needed—this will likely create board conflict. Nonprofit directors are often not eager to replace an ED who “minds the store” but doesn’t move it significantly forward. Without malfeasance or performance issues, many directors are willing to maintain an ED in place whose performance is, at best, undistinguished. Based on my experiences with 12 nonprofit boards as a board member plus having consulted with dozens more, following are ways I have seen business persons become acculturated to the nonprofit ED’s leadership styles. Instead of resigning, as some do, there remain many who continue to work productively with the ED to enhance the organization. Following are profiles, albeit stereotypical, of undaunted directors with business board experience (and without). The Compliant Director: This person attends board meetings, occasionally posing softball questions to management but avoids rigorous discussions and strong dissension. He/she feels that marked board differences undermine board morale. This director agrees to management proposals that have been reviewed by a committee or deemed needed by management. The Cheerleader: This board member believes that the organization is serving clients well, that the ED is doing a great job and sees little need for change in the ED’s leadership style. He/s continually talks about how efficiently the board operates and may even characterize it as being like a “family.” The cheerleader will work hard to support the ED in achieving the mission but lacks a sense of creativity. His/h vision centers on achieving reasonable current results without fully comprehending what the organization might achieve for its clients. The Disrupter: This person is comfortable with change and tries to interest the ED in testing new approaches and taking bold moves to improve client services. If successful, she/h can help the ED to broaden the vision of what the organization can attain and has the potential to effectively partner with the ED. (See below). The person may resign from the board—traditional excuse. increased work—or continue because of a dedication to the mission. Quite often, not recognizing what the disrupter can contribute, the ED will tolerate him/h by ignoring recommendations or convincing a board that these are not currently feasible. Common excuse: inadequate budget. The Partner: Both the ED and the board member look at their relationship as a partnership, with different responsibilities contributing to the development of the mission. There is a strong mutual respect for each other’s ideas. The board member respects the ED for field knowledge, management acumen and vision of the field’s future. In turn, the ED maximizes the contribution that each board member can contribute to the culture of the organization. Both can vigorously discuss controversial issues with the understanding that on policy issues, the board member will prevail– on operational issues, the ED will decide. 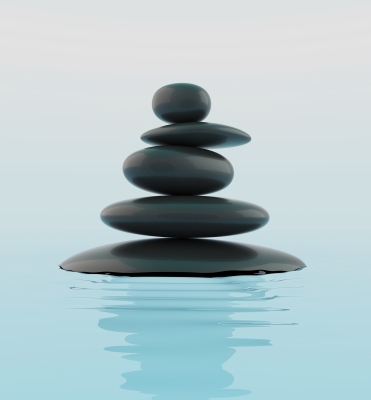 Partnership relations between board members and EDs are, in my opinion, rarely developed but with the right approach and effort on both sides, the “delicate balance” can be a shining example of good board governance and a profound asset to the organization.